Visualize your website architecture from multiple angles to identify every opportunity for improvement. 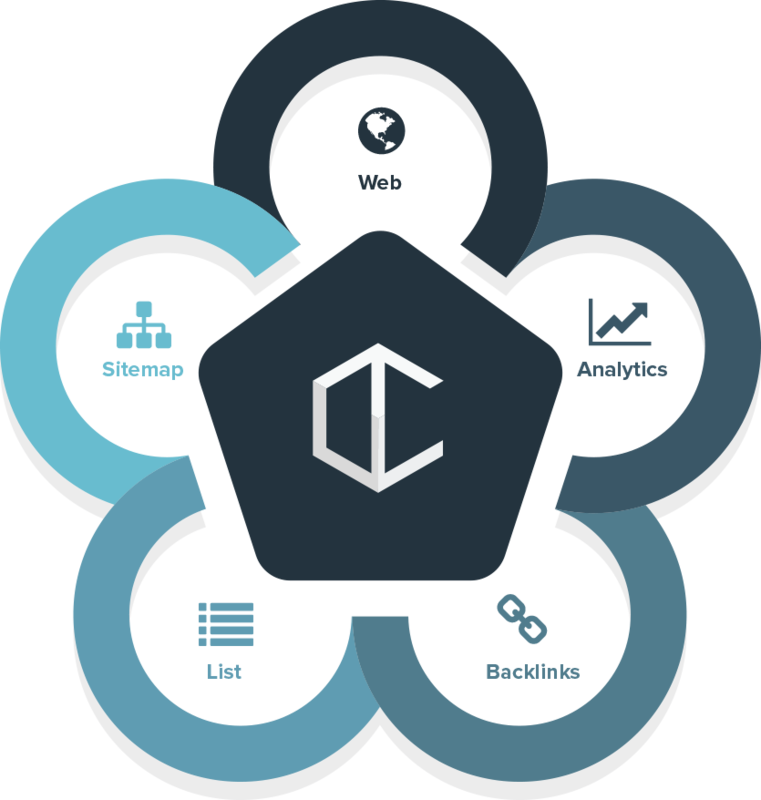 DeepCrawl provides a holistic picture of your site architecture. 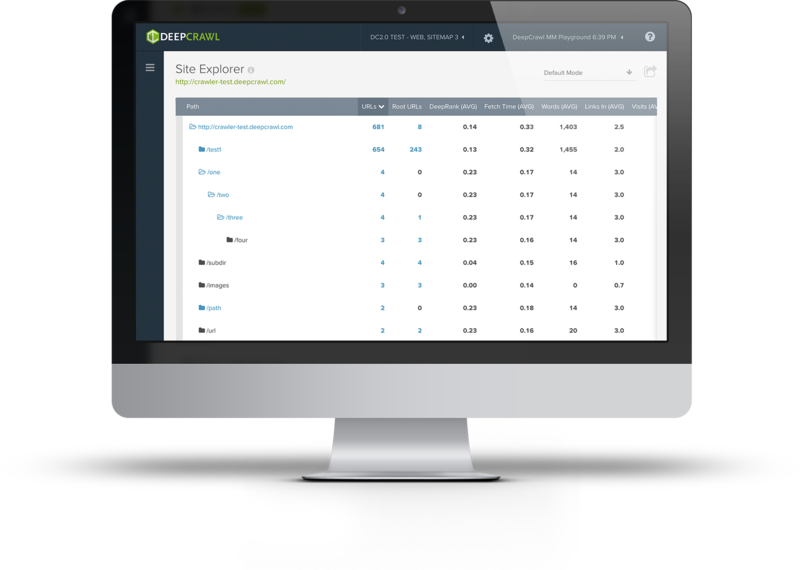 You can crawl your URLs, sitemaps and integrate any Analytics to provide a detailed gap analysis. This gap analysis helps you optimize your sitemap and also identifies orphaned pages that are not linked internally or are missing from sitemaps, but may be driving traffic! Are all your pages reachable within a few clicks of your homepage? Do you have horizontal and vertical linking structures in place? Does the user have to use the internal search functions to get further into the site? DeepCrawl gives you a clear picture of how bots and users see your site. We can crawl up to level 100. Here’s a site whose architecture is not set up to be crawled efficiently. You can see how deep into the site the unique content is, meaning it’s less likely for users (and bots) to find it. Filter to see metrics related to architecture, site speed, crawl efficiency, linking, and landing pages. Deep dive into individual urls to compare their structure with their actual performance (according to google analytics). Having an overview of your entire site is great, but DeepCrawl also provides you with more than 198 metrics for each individual URL.